Quarry Direct mines and supplies several types of natural stone for construction, landscaping, home improvement and other applications! All of our natural ornamental stone are custom made to order and are available in several types of cuts, splits and sizes. From large natural boulders to clean cut or natural cut flagstones to 1/2" veneers. We can provide what ever you may need. 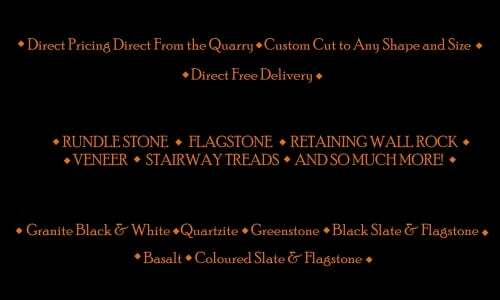 Bulk orders are also available for those who want to cut or split the stone themselves.